Oh goodness, one of my favorite times of the year! Mercedes Benz-New York Fashion Week kicked off just hours ago! I am already consumed with watching the runways shows (streaming LIVE). I will be posting a run-down and my favs!! Check out the schedule! Categories: 2014 Fall season, ArtiS, Beauty, Costume, designer styles, designers, fashion, Fashion design, fashion designers, fashion pics, fashion shows, FashionXclusive, Global, Global Trends, Holla, Hollywood, Speak out | Tags: Arts, Fashion week, Lincoln Center for the Performing Arts, MALAN BRETON, New York City, New York Fashion Week, Performing Arts, Theatre, Troupes and Companies | Permalink. 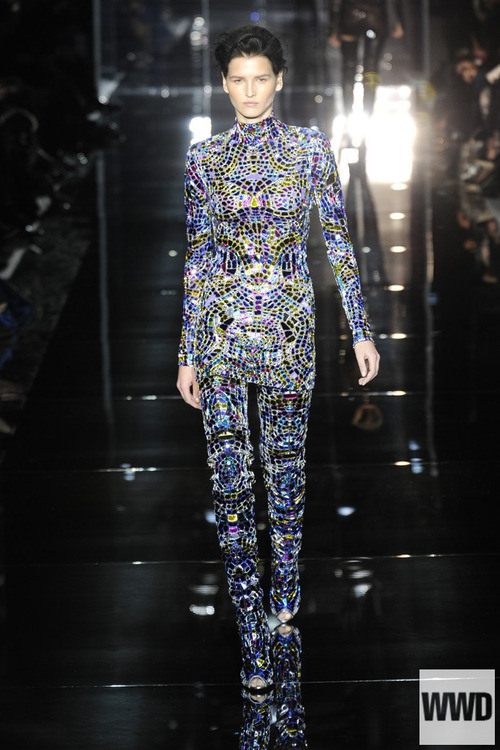 Paris Fashion Week 2013 brought many unique, interesting, and inspiring looks to the runway. This is how they brought it to the streets!!! How do you feel about the Fashion Capital of the World sense of street style? Categories: ArtiS, Beauty, fashion, FashionXclusive, Global, Global Trends, Holla, London, Los Angeles, Makeup & Hair, Milan, New York City, On The Road, Paris, Photography, Runways, Speak out, Stage/Broadway | Tags: Arts, Business, Design, Fashion, Fashion design, Haute couture, Paris, Paris Fashion Week | Permalink. Belgian designer Raf Simons fully embraced the man skirt for his Spring/Summer 2013 presentation at Paris Fashion Week, pulling inspiration from womenswear collections to create masculine versions of dresses and oversized t-shirts. Pop art was also a big influence, with boxy androgynous silhouettes, clean lines, and lots of bold blocks of pink, green, and blue. Vintage-style prints reminiscent of 1920s graphic design also featured on many of the pieces, with depictions of male athletes accompanied by text such as “artificially flavored”. Categories: ArtiS, Beauty, Blogroll, Costume, fashion, fashion illustration, FashionXclusive, Global, Global Trends, Holla, On The Road, Paris, Photography, Runways, Speak out | Tags: Arts, Business, Design, Fashion, Graphic design, Paris Fashion Week, Pop art, Raf Simons | Permalink.